Mailed 8/24/17 to Subscribers. Allow 4-6 weeks for USPS delivery. 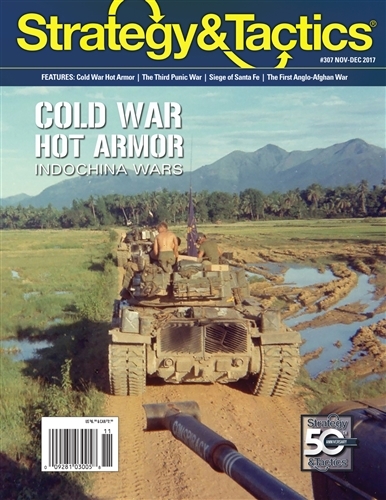 Cold War Hot Armor - AFV in the Indochina Wars: Vietnam is not a hospitable place for heavy vehicles. 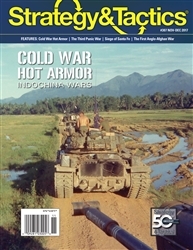 Despite this, armored fighting vehicles would play a role in every period of the Indochina Wars. Birth of Empire - The Third Punic War: Following their defeat in the Second Punic War, the Carthaginian Empire was left greatly weakened. The Romans still viewed Carthage as a threat, so in 149 BC it provoked a third—and final—war to conquer their Mediterranean rival. The Siege of Santa Fe, 1680: In 1680 the Pueblo Indians rose up against the Spanish colonial government in Santa Fe. The revolt would expel the Spanish from the province for twelve years. The First Anglo-Afghan War: In 1836, Russia supported the Persian siege of Herat. Fearing further Russian advances on the Indian subcontinent, the British invaded Afghanistan in October 1838.